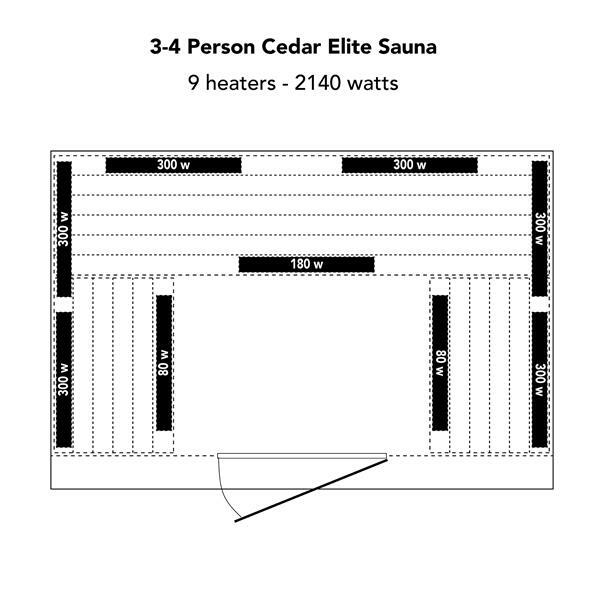 Unlike any other sauna on the market today, the Cedar Elite Infrared Saunas feature a sleek contemporary design and unprecedented innovative technology. 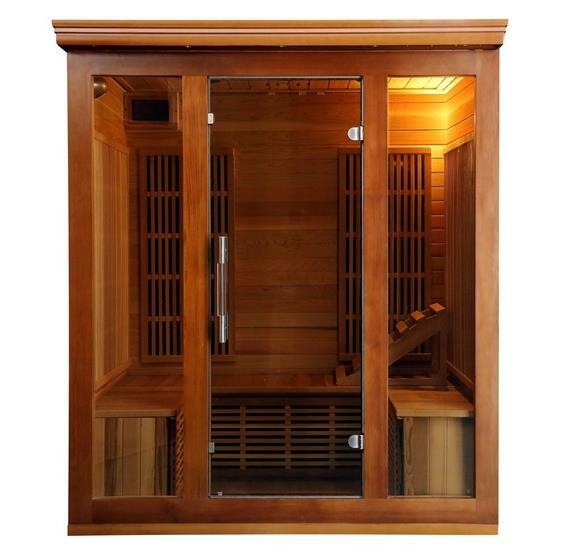 Unlike any other sauna on the market today, the Cedar Elite Infrared Saunas feature a sleek contemporary design and unprecedented innovative technology. 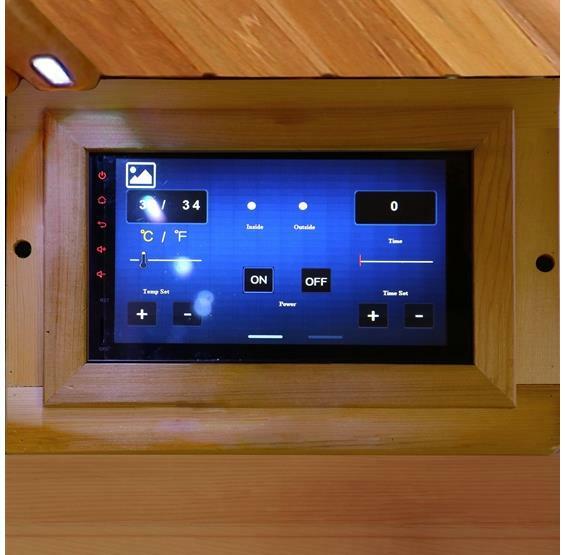 The hand selected "A" Grade reforested Western Red Canadian Cedar, state-of-the-art Bluetooth touch screen control pad, and exclusive heating technology are just a few of the characteristics that set the Cedar Elite saunas apart from the competition. 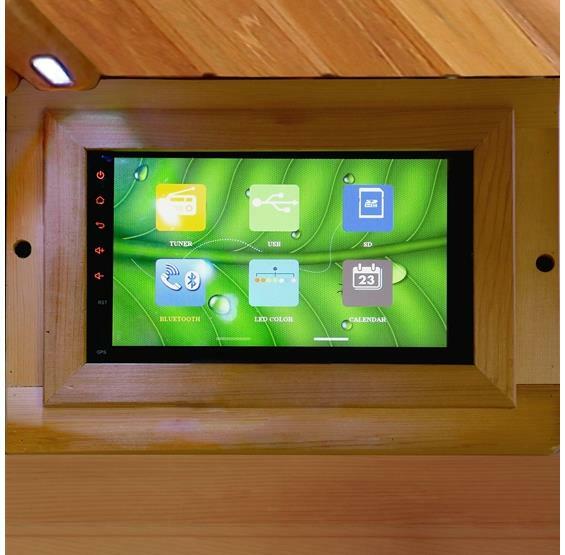 Commercial-grade heating panels utilize Infrawave technology for energy-efficient, ultra-low EMF. 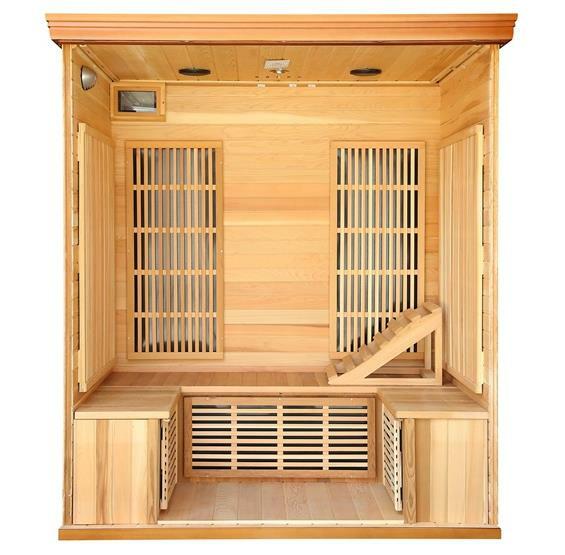 This roomy 3-4 Person Cedar Elite Premium Sauna is packed with high-end features including thicker heat-retention wall panels, an easy-clasp assembly system, interior and exterior lighting, tinted safety glass, heavy-duty door hinges, high-performance speakers, ergonomic back rests, and so much more. 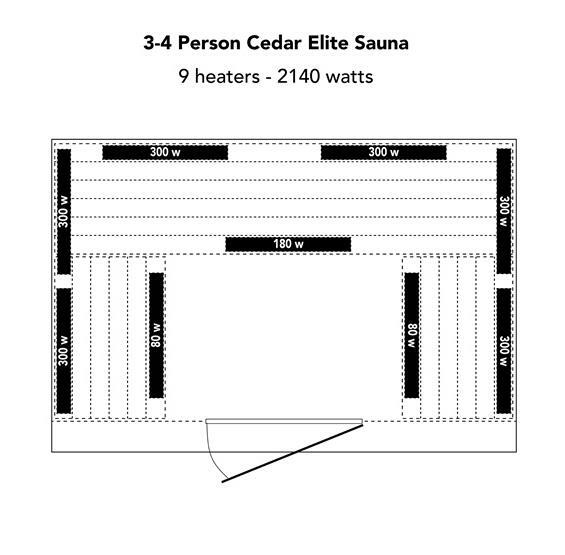 The Cedar Elite saunas instantly provide a safe and relaxing atmosphere within your home to spend time unwinding and totally replenishing your body from the day to day stresses of life. 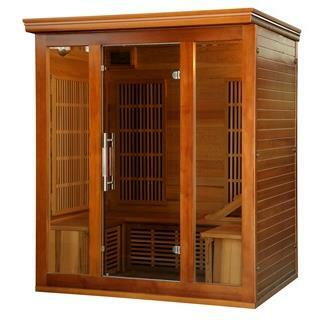 7-year limited warranty.